Hello!! My name is Swapnil Kosarabe and I am a graduate student pursuing Masters in Human-Computer Interaction at Indiana University, Indianapolis. I am currently working as a UX designer for Parkview health in collaboration with Indiana University. Before this, I interned at Microsoft as a Product designer with team Cortana. 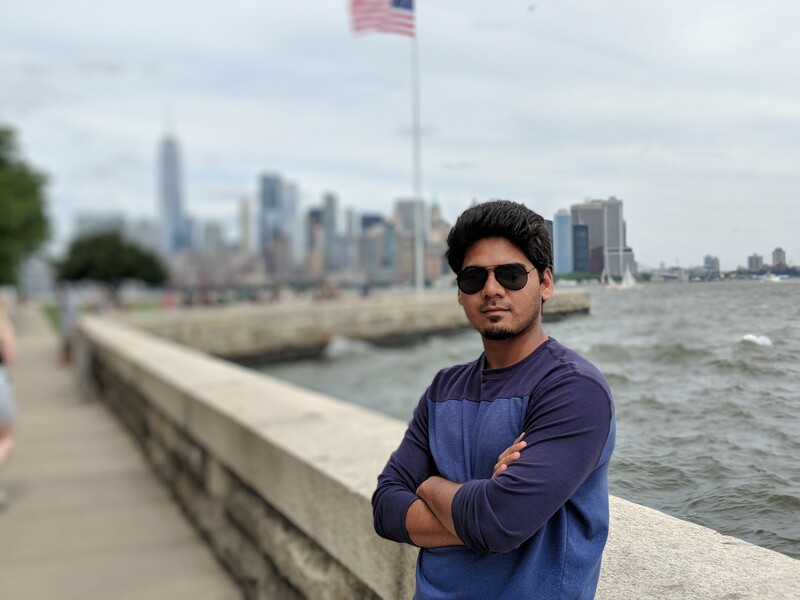 I am an Architect turned Product designer with 4 years of experience working with startups, as a freelancer, and for student’s association while pursuing my undergraduate degree at Indian Institute of Technology, Roorkee. I have an unusual taste of observing the things around me in a comic strip and analyzing how it fits well in the environment. This encouraged me to sketch out people and things around me in a comic strip since my childhood which turned out to be one of my strong tools to express my ideas while I am solving any problem. Outside of work, I enjoy visiting historical sites, participating in paintings and crafts events, designing illustrations and motion designs, learning new tools and cooking new cuisines. If you need to get in touch or learn more about me feel free to drop an email. Envisioned and designed a new Cortana skill with the team for its 145 million users, working closely with program managers, and software developers. I conducted user research to define requirements and created prototypes that went several iterations before achieving final goals. Actively involved in the research and design phase of the new technology, Power to Patient, team led by Richard J. Holden, intended to empower older adults with chronic heart failure by providing them with their heart health data. I participated in User research and worked on designing and testing new prototypes with frequent collaboration with researchers at Parkview Health and Health Innovation Lab at IUPUI. Created designs for an early stage concept related to persistent augmented reality under the supervision of Co-Director Zebulun M. Wood. I led the design production of mobile app and a desktop app creating motion designs, illustrations, and vision video. Prototyped a SaaS application to simplify the school data and better represent the performance statistics of the students. I conducted user interviews along with the team of developers to streamline the complex school data addressing user problems. Managed several design tasks involving branding, illustrations, and UI design for Tech-fest, social events, and start-ups.